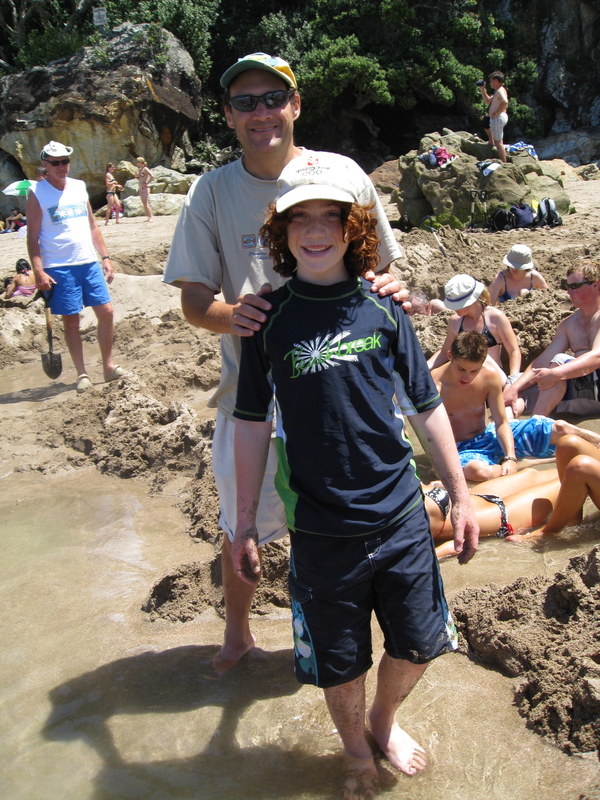 With my dad at Hot Water Beach - careful, that water is really hot ! 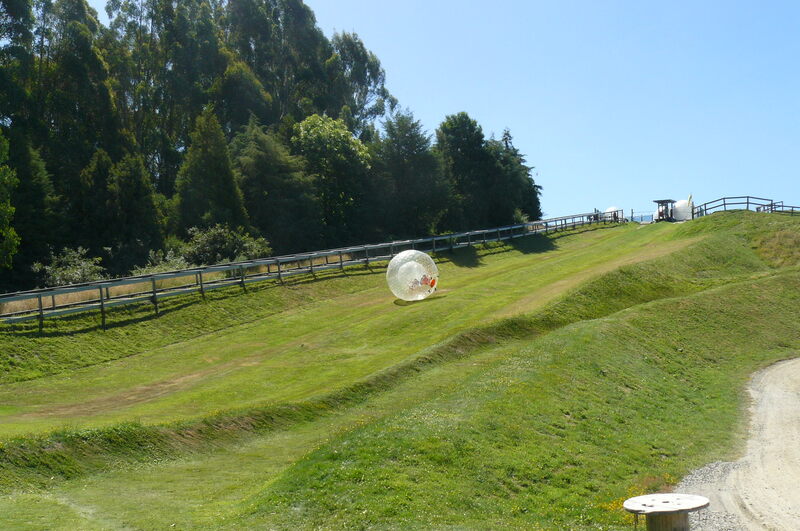 Zorbing down the hill; uncontrollable laughter inside ! 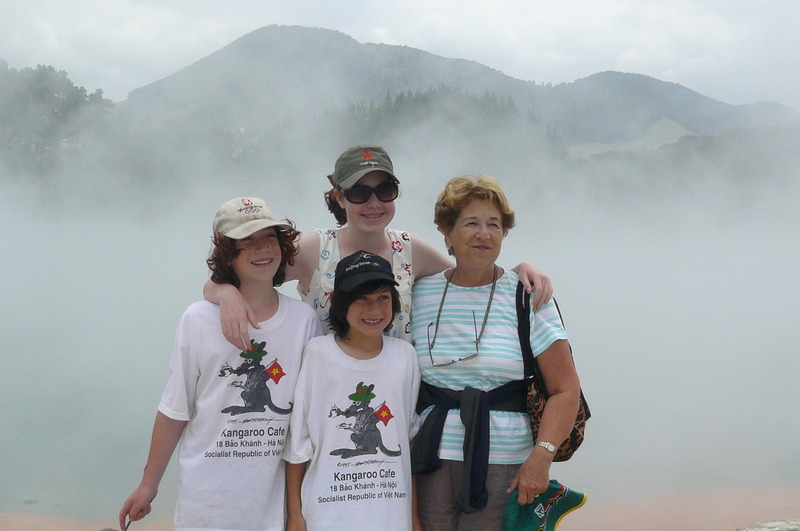 In January 2008, after visiting Asia and Australia, we traveled to New Zealand for two weeks. Here are some of my highlights of that great trip! When we arrived in New Zealand we drove to Rotarua where we would we spend the next 3 nights. We went to this place called Te Puia where they have geysers and mud pools, which are pools of boiling mud, which look kind of like small geysers. After that we went zorbing. 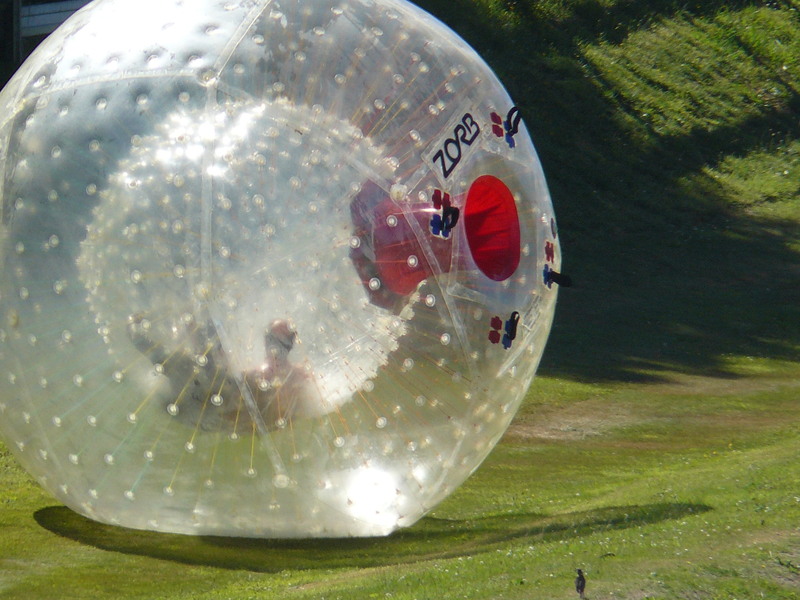 Zorbing is where you roll down a hill in a zorb which is like a big inflatable hamster ball. We drove to the top of a hill and the people working there would put water inside the zorb. After that you had to dive into it into the water. Then when they told you to, you would stand up and push against the side of the Zorb to start it rolling. It would roll down really fast and you would be sliding, rolling over and trying to run inside it while it rolled down in what looked like an uncontrollable spin. It was one of the funnest things I have ever done. We did it twice. Next day we went to the Lady Knox geyser where the ranger put a bar of soap in the geyser to make it erupt. It was kind of disappointing and felt artificial. After that we went on a walk where we saw more mud pools and a steaming lake with lots of different colored minerals in it. It was really cool. On the walk we saw a Pied Stilt, which is a very small bird with very long legs. 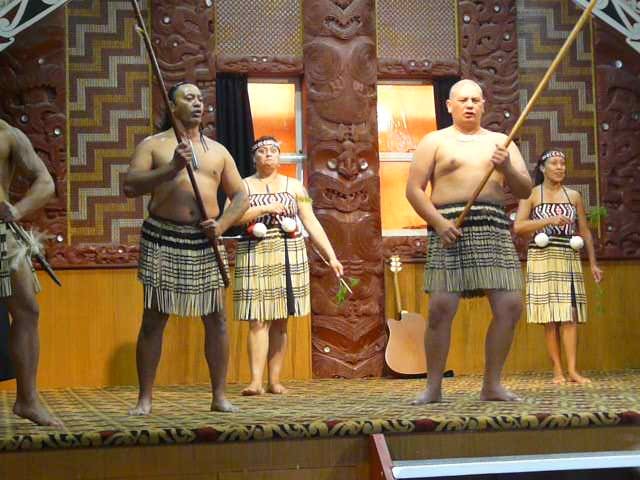 That night we went to a Maori dinner, a hangi, where we saw a Maori performance, which was fun. They did a great haka, which we’ve seen many times by the New Zealand rugby team (the All Blacks). The next day we drove to the Waitomo glowworm caves on our way to Taupo. We walked into this big cave and the guide showed us the long glowworm strings, which the glowworms use to catch food. Then we went on this little boat inside the cave and saw thousands of glowing glowworms. It was kind of disappointing though because the whole thing was pretty quick and we’d made a long detour to get there. Then we continued our drive to Taupo. The next day we went on the Tongariro Crossing, an 11.5-mile hike in Tongariro National Park through mountains, craters and volcanoes. We had to take a bus there and back so we had to finish in time to catch the last bus (there are only two). The first bus was scheduled to leave at 3.30 and since we had arrived on the later morning bus, if we wanted to catch the 3.30 bus back, we would have to complete the hike in less time than some of the people who started over an hour before us. The first part of the hike was an hour of flat walking. After that we climbed the very steep part called the Devils Staircase. There wasn’t really a path for that part so you would just climb up the rocks anywhere. My dad was carrying all our water (10 liters) and at the top he was covered with sweat. At the top we passed right next to the volcano that was used in the filming of Lord of The Rings for Mount Doom. 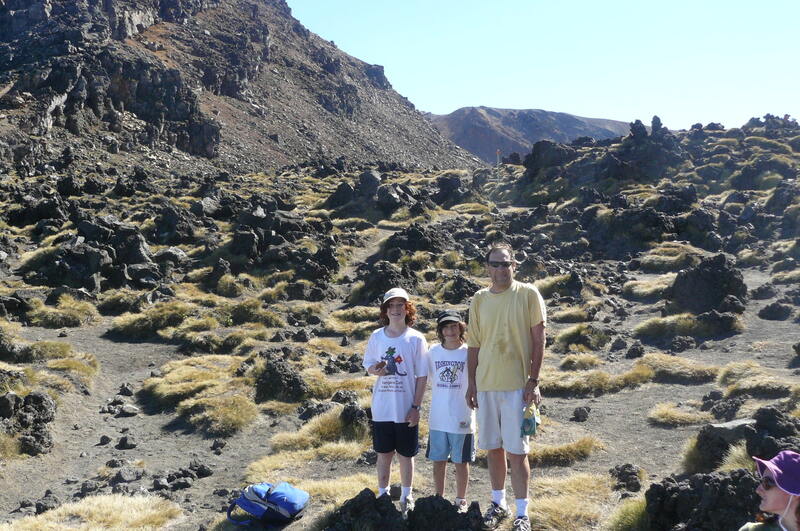 Then we walked into this huge flat valley and then we scampered up this slope to the top of the Red Crater. At the top we walked on until we got to this steep drop where we ran down this slope with rocks and loose pebbles covering the path. At the bottom we got to the Emerald Lakes. We ate lunch next to the Emerald Lakes, which are green and shimmery. After that you walked through the Red Crater. When we reached the Ketetahi hut, abut 1-½ hours from the end, there were so many people there that we realized the wait for the second bus would be very long. So we decided to go really quickly to catch the first bus, which meant that me, my little brother and my dad had to run the last part to get our places and keep a place for my mom who was not far behind us. 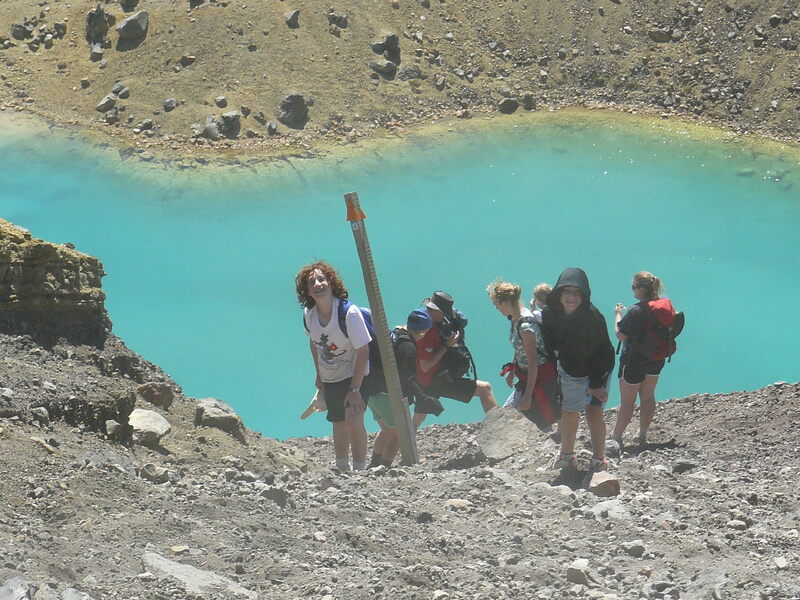 Tongariro crossing was definitely one of the best hikes I’ve ever done! 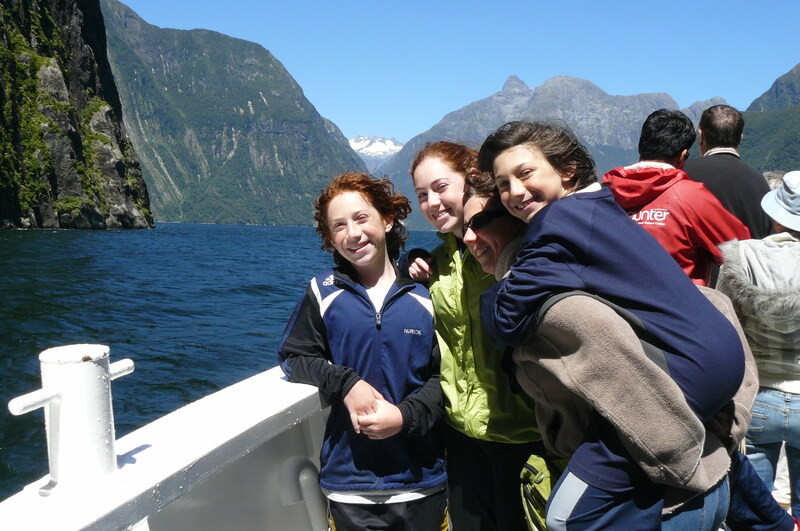 After reaching Wellington, New Zealand’s capital, we took a two-hour ferry ride to the South Island of New Zealand. The ferry had 10 floors with 2 movie theaters ! The ride, through the Cook Straits, is spectacular, and starts preparing you for the glorious South island. When we got there we drove to Motueka, near Nelson, and then went to the beach at Kaiteriteri, where we played cricket and had dinner. 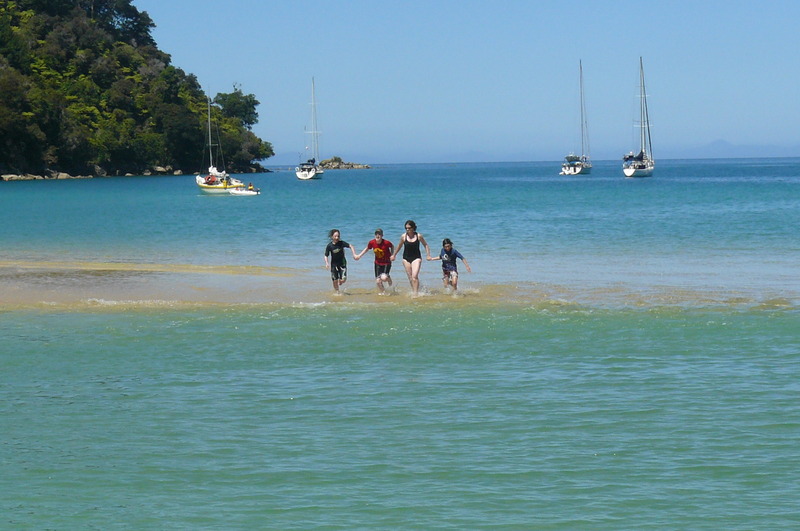 Next morning we went back to Kaiteriteri and did a kayak tour in Abel Tasman National Park. First we kayaked for about 45 minutes to Split Apple Rock, which is a big rock that looks like a split apple. It is one of the most photographed places in New Zealand. We stopped at a beach there and went in this cave where we saw a Fairy Penguin. Then we swam at the beach and started kayaking back. On the way back we saw another Fairy Penguin swimming in the water. When we got back we took a water taxi to Bak beach. On the way there we saw a bunch of New Zealand Fur Seals. At Bak beach we did a walk to this other beach. When we got close to the end of the walk we took the low tide route, not realizing the tide had come in. We had to climb over all these rocks, and then walk through waist high water to get to the beach. When we got to the beach we swam until the water taxi came to take us back. On the way back we saw a pod of about a hundred Bottle Nosed Dolphins jumping and swimming next to the boat. It was incredible! 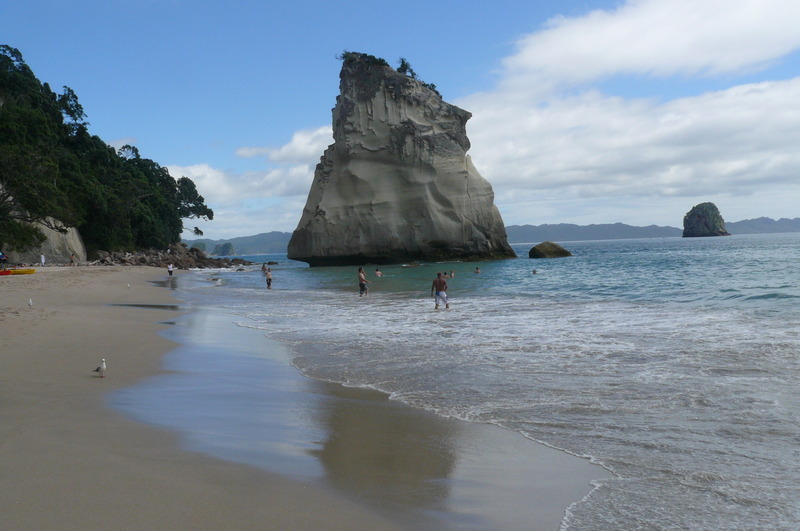 I had never imagined New Zealand to have good beaches, but I was so wrong ! 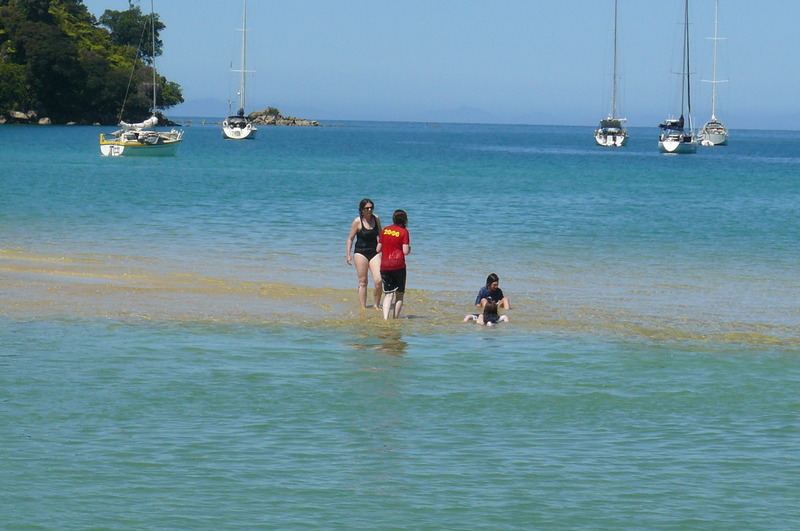 The beaches here, and at the Coromandel were spectacular. 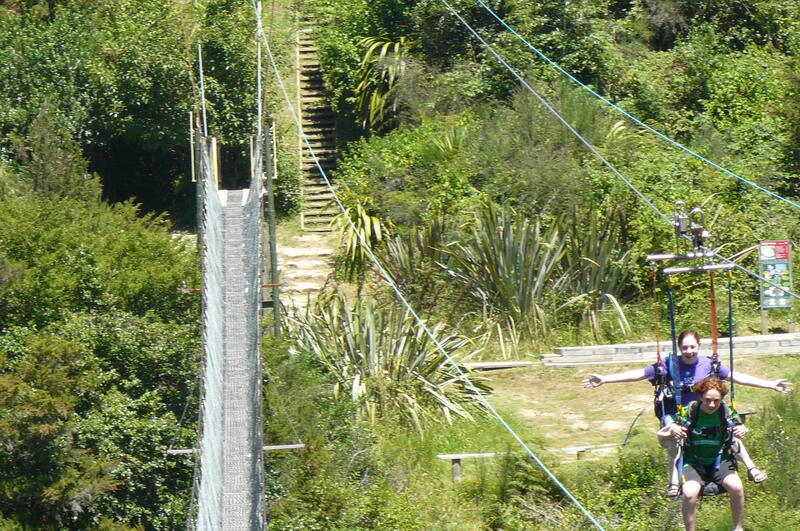 The next day we drove to this place called Buller Gorge where they have the longest swing bridge in New Zealand. First we went across the swing bridge, which swung a lot and was fun. Then on the other side we walked down this little path to the Buller River where we went on a 40-minute jet boat ride. The boat went really fast and sometimes would do spins at a really high speed. We got drenched, which was great fun! Then we went back up the path to this tower where we went on this thing called a Comet Line where you get strapped into this seat and you go really fast down and across the gorge on a zip line. It was really fun. After that we drove to this town called Hokitika where we spent the night. 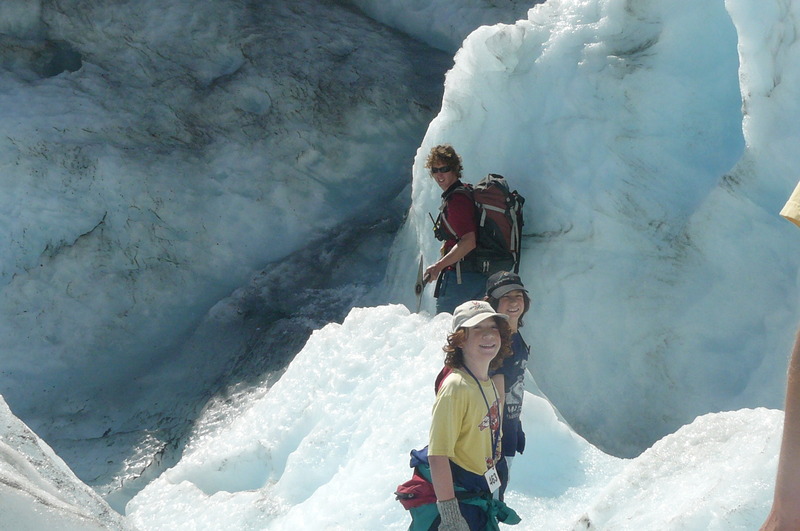 The next day we drove to Franz Josef glacier where we were going on a hike on the glacier. 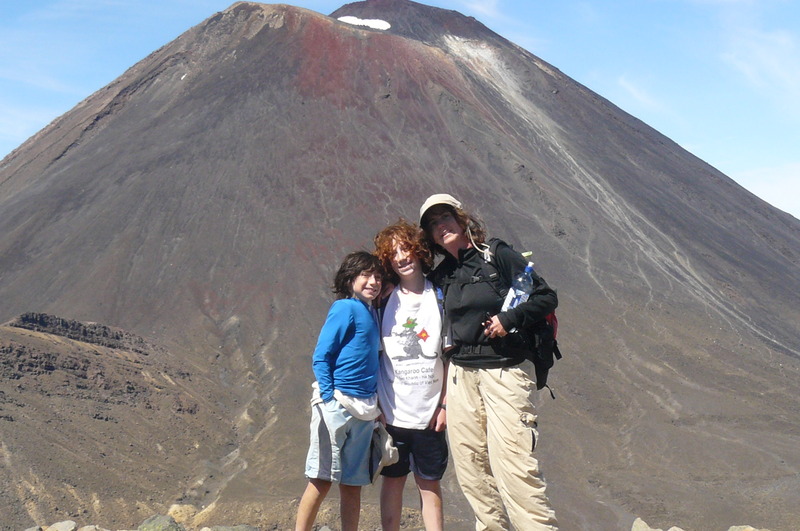 At first they did not let my brother Benjy do it (because he was only 10) but when we told them he had done the Tongariro Crossing, they changed their minds! We got our crampons and boots and then we walked through a little forest to this glacier carved valley. We then walked on a really steep path up this cliff where we had to use ropes and chains. It was really exciting. After that we got to the glacier and had to climb up these steep ice stairs for an hour. 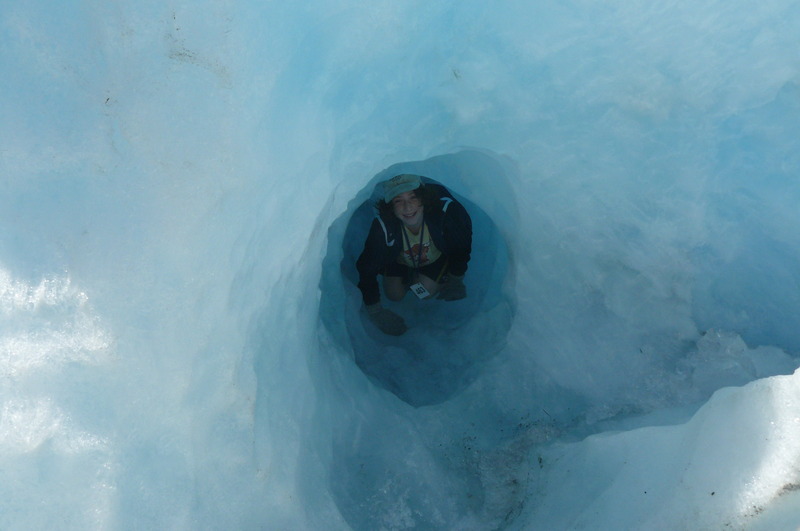 After that our guide found a crevasse and we climbed through it. It was really cool. 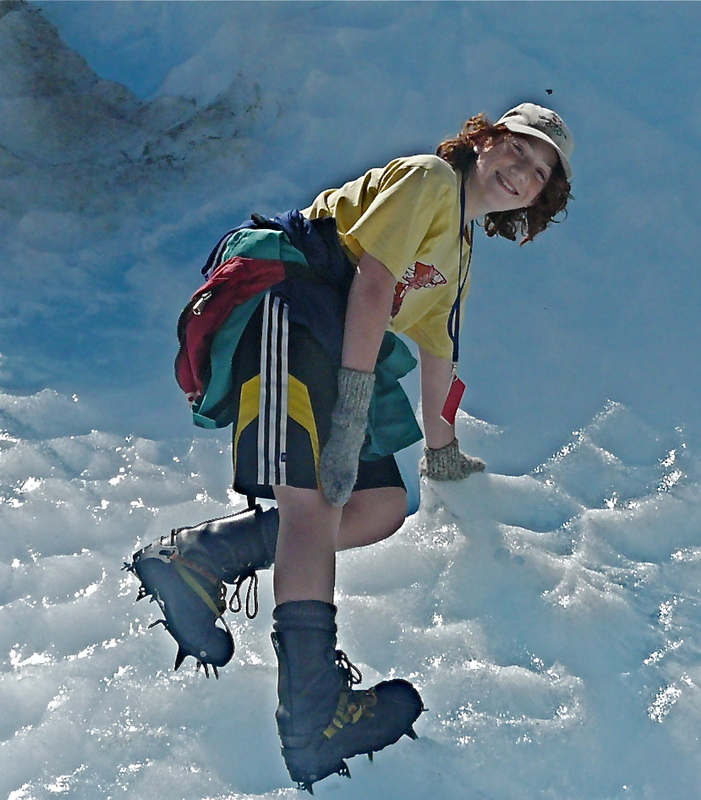 Then we walked around on the glacier and had lunch. We went higher until we got to this ice waterfall where a meter on either side of us were very deep crevasses. Then we headed back down. On the way back our guide found an ice tunnel, which we went into twice. It was really fun. Franz Josef glacier is one of the only 4 glaciers in the world that is in a rainforest, and one of the others is a few miles away at Fox Glacier. 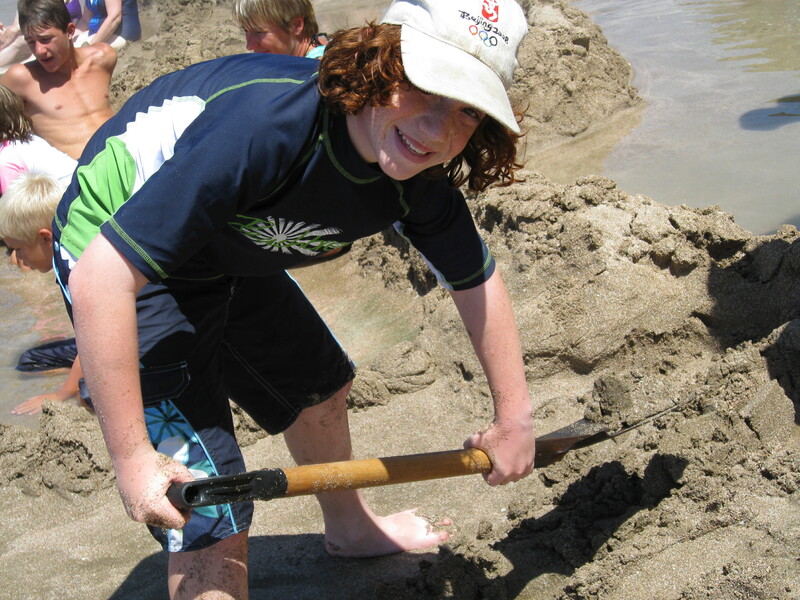 Our last great adventure was in Wanaka. 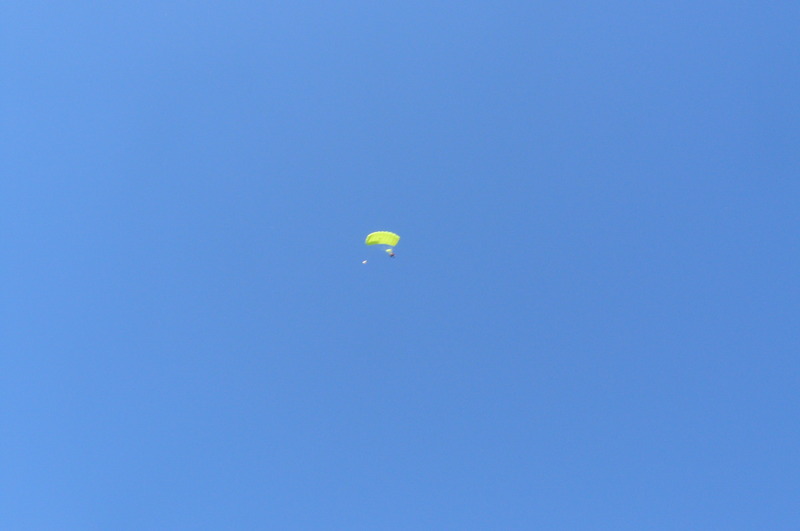 My sister and me had asked our parents if we could go skydiving, and we were quite surprised when they said yes! My grandparents, who were with us, were horrified, and they were very relieved when on the day we couldn’t go because it was raining too hard. But the next day was beautiful, so off we went. We went up in a small plane strapped to these professional skydivers that we would jump with and who would pull the parachute cord. When we were at 2,000 feet it looked high, but we were going to 12,000 feet! When we got to 10,000 feet, even the mountains looked tiny! It had been decided I would go first (as the youngest) with my mom next (as the most scared), followed by my sister, and finally my dad. 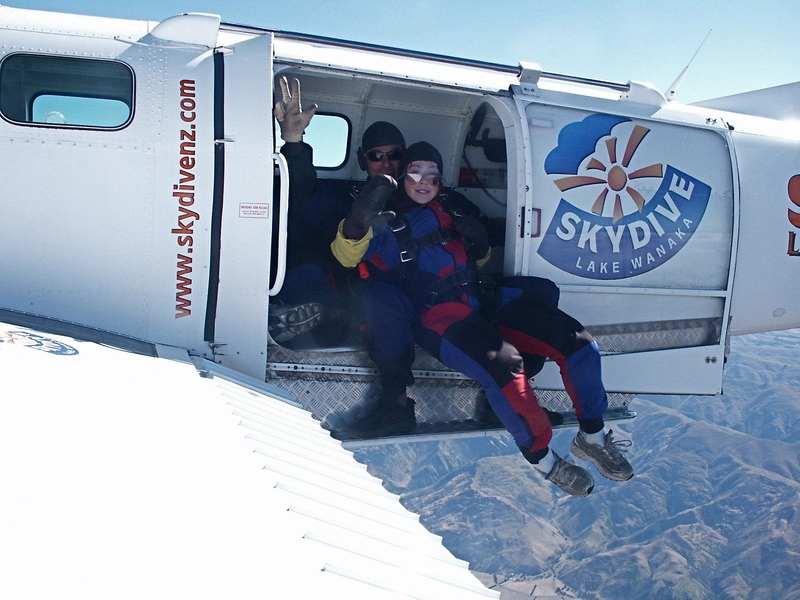 As we reached 12,000 feet me and the guy I was strapped to moved to the edge of the plane and smiled for a camera on the wing. (See my photo). Then we jumped off and it felt like I was going incredibly fast (which I was!). We flipped and then fell for 45 seconds before the parachute opened and we drifted down to the ground. It was probably one of the funnest things I have ever done. 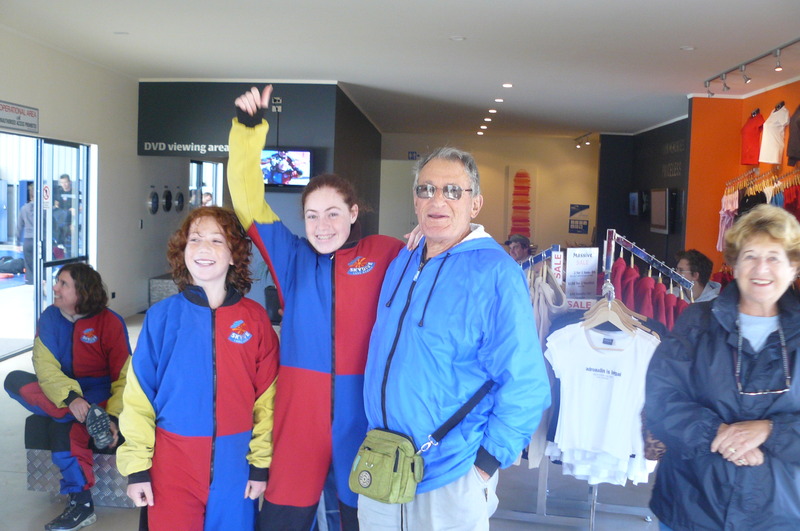 After that we went lugeing down a small mountain in Queenstown – that was fun, but not like jumping out of a plane at 12,000 feet ! Definitely New Zealand is an incredibly exciting destination filled with beautiful places and amazing things to do. You should go there !